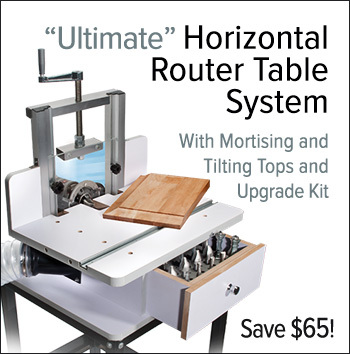 For Router Tables and Saw Tables. 66 Piece Router Bit Set! Save $5! Lock bits into position for bearing changes. Perfect base for any router table top!